Core De Force | Country Heat | What is a Beachbody Coach | Where To Buy Shakeology | 21 Day Fix: Budget Friendly Options to Get Healthy and Fit for the Holidays! Budget Friendly Options to Get Healthy and Fit for the Holidays! Now that September is over and the kids have gotten back into a schedule, it's time to make some time for yourself! I know what you're thinking. You especially don't want to be spending money on yourself right now. You owe money for your kids sports, activities, fieldtrips, fundraisers, and the list goes on. Maybe you don't have kids but you are already thinking about the upcoming holiday season. Believe me, I get it. Money is always tight and let's face it, is there ever a point where you WANT to be spending money? Another stress that occurs for many people at this time of year is the tightening of their pants and the plummeting energy levels due to cooler weather and early evening darkness. With busy school schedules it's easy to give up your evening walks or playing outside because it's dark by the time you are done eating dinner! The worst thing you can do is throw your hands up and give in to all of the temptations around you. It is this exact time of year, in my opinion, that eating habits begin to change for the worse. Due to the business of "life" you may be eating out or making quick, processed meals. You can't go to any grocery store without walking into bags and bags full of delicious looking Halloween candy. Do you ever buy a bag and put it in a nice decorative Fall or Halloween bowl on your counter? And let me guess, every time you walk past it you swipe a piece or two? You know that all of the Christmas goodies will be out by November 1! I already saw Christmas decorations out at Target! To help prevent you from falling into the same old trap, I have decided to offer 2 options for October. So you may be thinking, do you I have to follow every single meal? The answer is, NO! I will be sharing the meals that I, and my family, eat throughout the week and from there, you can change whatever you need to. 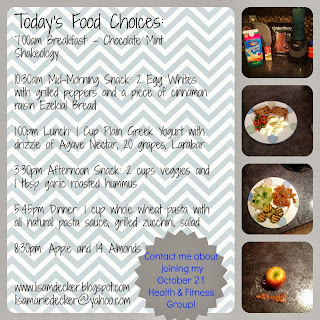 I have numerous Clean Eating Recipes and snacks that you can substitute in place of anything that doesn't work for you. I have to ask, is a $20 investment towards good health worth it to you? There will be zero pressure at the end of the group as far as purchasing more. If you find that Shakeology will be an added benefit to you, then you can move forward with purchasing a 30 day supply, and if you would like, you could move right into my 60 day group that begins October 21. If you still want to hold off, no problem! I had great success with this in the past couple of weeks so I can't wait to start another group back up! For this option, I am looking for a small group of people who are ready to make a commitment that will change their lives for the better. 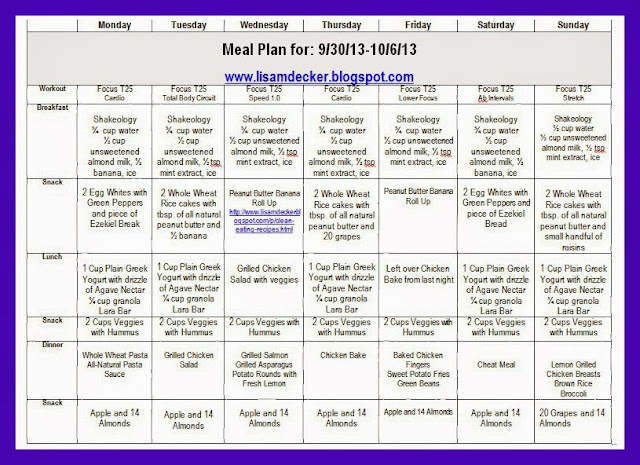 I am going to be running a 60 day clean eating, Shakeology, and fitness group beginning Monday, October 21, 2013. This group will end just before Christmas! Ok, so I bet I know what you are thinking now. Why in the world would you commit to something like this over the holidays?! My response? Why not? How important are the candy and the cookies? If they are THAT important to you then fine, I can help you build that into your meal plan as a cheat for the week. My goal is to arm you with the knowledge of what clean eating is, by providing you with my meal plans, recipes, tips, motivation, support, and accountability to stay on track. Similar to Option #1, you will be part of a closed online accountability group so that you can check in at your convenience to help you stay on track. The commitment for this group would be the purchase of a Challenge Pack. So what exactly is a challenge pack? For those of you who are unfamiliar with what a challenge pack is, let me explain it to you! A challenge pack is a complete fitness program of your choice such as Focus T25, Insanity, P90X, Turbo Fire, 10-Minute Trainer, etc. and a 30 day supply of a Shakeology flavor of your choice. 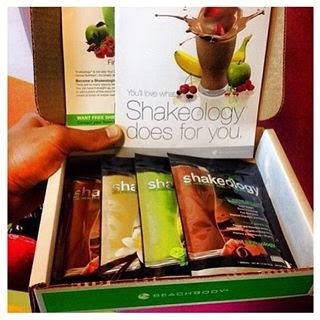 Shakeology will act as your healthiest meal of the day! Combine that with a free 30 day trial of the club membership (which provides you with benefits such as customized meal planning), plus free shipping, me as your Beachbody coach, AND a discounted price! It is the total package! Everything is also backed by a guarantee. 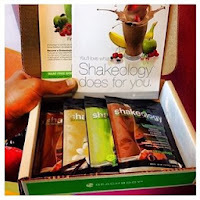 You can send your empty bag of Shakeology back for a refund and if you aren't happy with the fitness program, that can be sent back as well! Before purchasing a challenge pack, I can help you decide which would be best for you based on your ability level and goals. 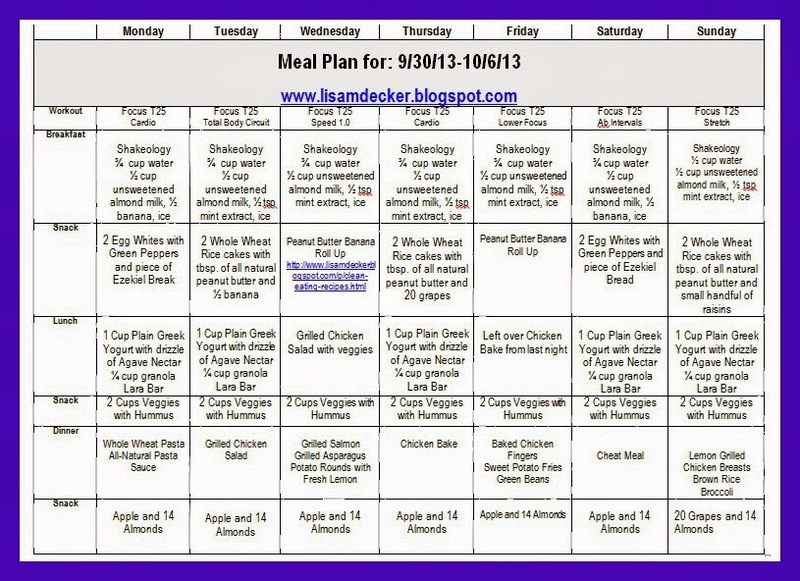 So if you are in need of a complete overhaul with your health and fitness then this is the way to go. 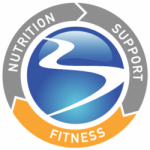 With Beachbody you get the expertise of the trainers who have developed the fitness programs, the nutritional guide, and online tools to help you plan out your meals and snacks. All with the accountability of a small group and me as your coach! It is my goal to help you in any way possible to create and reach your own personal goals. 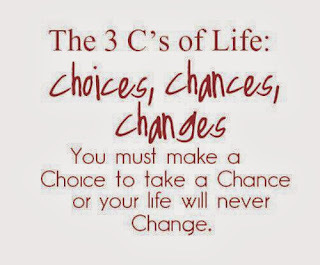 I want you to know that with whatever option you choose, I will be there to help and motivate you along your journey! I will provide you with the support you need to ensure your success. Curious? Think you may be interested? What's Next??? You can contact me through email at lisamariedecker@yahoo.com, you can also message me through Facebook to get further details and/or to join one of my groups! PLEASE KEEP IN MIND THAT THERE IS LIMITED AVAILABILTY FOR EACH GROUP SO RESERVE YOUR SPOT NOW!